Frankfort, Indiana Town Mural in Veterans Park~ on the corner of Main and Washington Street! Will Geer stands among many other great Frankfort natives! The Frankfort Main Street, Inc. is always in support of projects that improve the visual appearance of downtown. In 1989, a fire destroyed several buildings and businesses on the corner of Main and Washington Streets across from the Courthouse. The result was total elimination of a quarter block of our downtown district. After much debate, the municipal utility developed the site into a pocket park, complete with gazebo, benches, and antique lampposts. The backdrop for this new public improvement (now known as "Veterans Park") consisted of the side walls of the buildings neighboring the site. These walls previously faced the alleys and had practically no visibility; now they were essentially on display to all who graced our Courthouse Square. And the view was difficult to avoid; the walls comprised approximately 9000 square feet of surface area! How the Mural was created! In the Summer of 1996, the Frankfort Main Street, Inc placed an ad in the magazine Indiana Arts, calling for proposals from professional muralists. 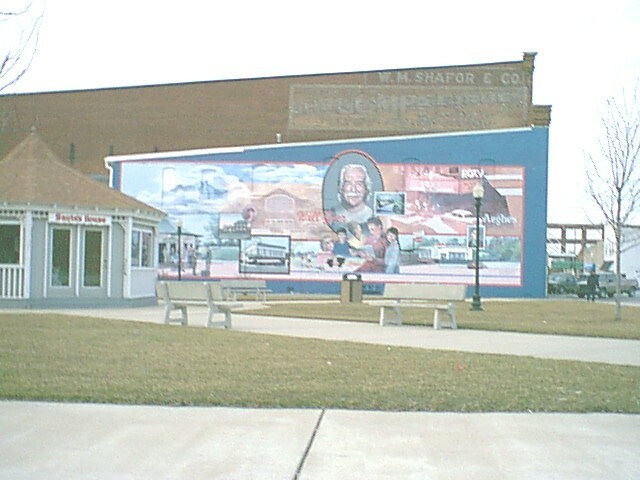 In the Fall of 1996, a committee of local artists was organized to interview and select a muralist for this project. That committee selected a husband/wife team out of South Bend, Indiana. 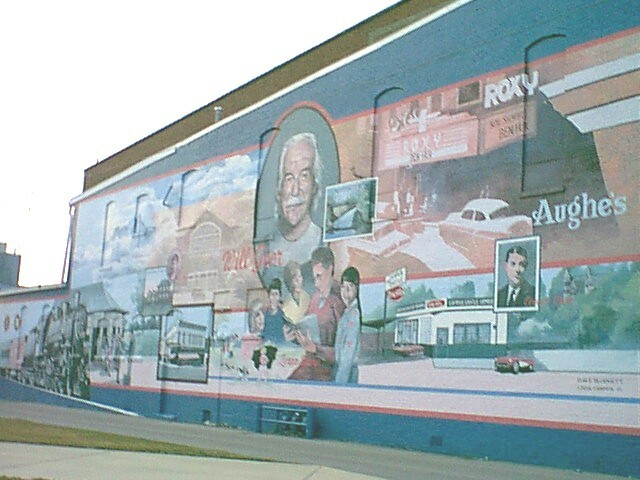 In February of 1997 a public exhibit was held at the Frankfort Community Public Library to solicit ideas from the public on what images could or should be included in the mural. The exhibit was additive, so visitors could contribute their thoughts and ideas at any time during the ten-day period. The muralists attended the opening and closing of the exhibit, then took those suggestions and began developing ideas for a representative and unified design. A design committee was established to work with the muralists on this process. Final design approval was given to the Design Committee and the Board of Directors of Frankfort Main Street. The muralists began painting the first wall on July 23, 1997. 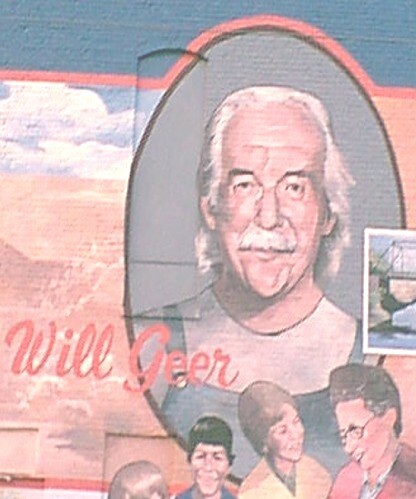 The second wall was painted in 1998... the one with Will Geer! I remember watching them work! The wall is full of wonderful Indiana people, places, and things! How exciting it was to watch the mural being painted in the summer of '97 and '98. We enjoyed seeing each new detail as the wall came together. to take a stroll and reminisce.